Our mission is to provide a platform for contractors and builders in Qatar where they can find transportation and construction equipment solutions. We strive hard to have each client leave here satisfied with the service they receive from our staff. With our new and improved searching options, finding that machine couldn't be easier. 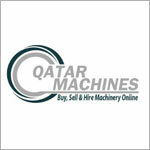 You can search by any combination of Make, Model, Price to ensure you make the right choice when buying the machine.